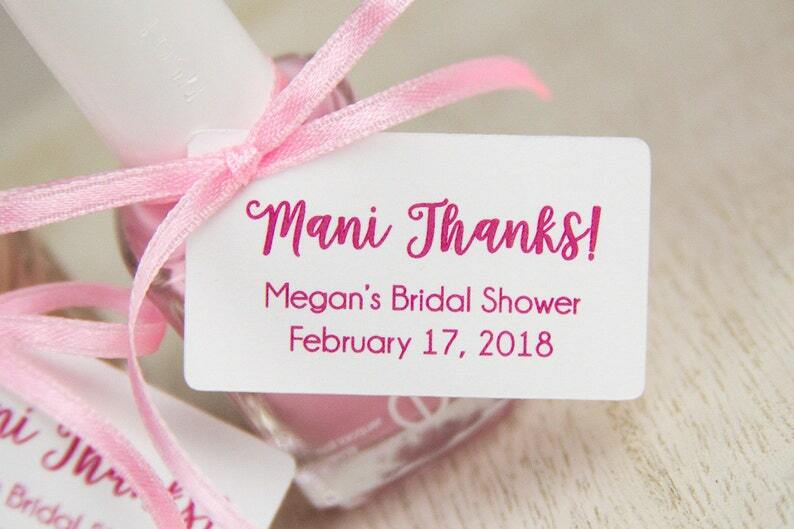 • These "Mani Thanks" favor tags will make the perfect addition to your party favors! Wonderful for a spa party, bridal shower, baby shower, and more! These were so precious for my daughter's 4th birthday at a nail salon! Love Them, They look great! Thank you! Very good quality! Loved it! !